There’s enough equipment, variety and knowledge within David Lloyd Clubs to create an exercise plan for everyone. For most of us updating our routines regularly keeps it fresh and challenging – and, with so much on offer here, there’s always something new to try to make sure your routine never gets repetitive and predictable. 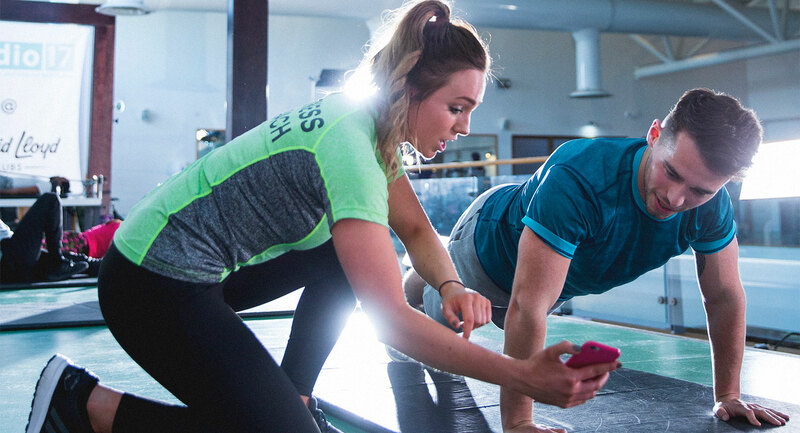 Our gyms have an unrivalled range of equipment, our choice of group exercise classes is vast, and our Personal Trainers are always on hand to help you achieve your goals. We also have beautiful indoor and outdoor pools, brilliant swimming coaches for both adults and children, not forgetting our wonderful spas which are the perfect place to relax after a tough workout. We know that our members want a choice of varied training techniques so we have specialist zones throughout our gyms – areas for cardio, free weights and functional training, plus more. That’s not all, we not only have a great range of equipment including the Woodway Curve treadmills, Power Plates and Olympic lifting platforms, we have plenty of it too, so you’ll never have to wait. One of our favourite pieces is the SYNRGY360 functional training equipment, which is essentially a fun playground to workout in. With so much choice there is no way your workout will ever get boring. Sometimes we all need a bit of extra motivation, and working out with other people is a great way to get that. We’ve got something for everyone with our group exercise classes! You’ll get a great full body workout and our brilliant instructors will make sure you get the most from every session. We have designed our studios specifically for different types of exercise. We have one specifically for our holistic classes like yoga and Pilates, and if you want to try something a bit different then our Brussels club has a Hot yoga studio too. Our Group Cycling studios are for fast paced, instructor-led and virtual cycling classes. Finally, our High Impact studios cover a huge range of classes, from Les Mills GRIT™, BODYATTACK™ and BODYCOMBAT ™ to circuit training and more. All our classes our challenging and fun, and we know we’ve got a class you’ll just love. If you want to reach your goals quicker and see results fast, then having a session with one of our Personal Trainers could be the route for you. All our trainers are approachable and friendly. Whether they’re running functional training classes or providing one-to-one sessions, they’ll push you and keep you motivated.